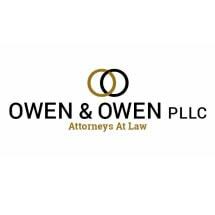 Founded in 1982, the law firm of Owen, Galloway & Myers PLLC, has built an outstanding reputation for legal excellence, dedicated client service, and high standards of ethics, both among our peers and throughout our home community of Gulfport, Mississippi. Attorneys Joe Sam Owen and Ben F. Galloway each have over 30 years of experience representing clients in the Gulf Coast region of Southern Mississippi, and both have been honored by their peers with the distinction of a Martindale-Hubbell AV Rating. * Robert P. Myers, Jr., who became a partner in the firm in 2000, has 15 years of legal experience. Former clients, too, have honored us, by frequently referring their friends, family, and neighbors to our business. Our practice areas cover a broad and diverse range of legal fields. The majority of our practice is devoted to the various types of litigation, and in the past year we have seen a dramatic increase in the number of hurricane-related lawsuits brought to us for review, including bad faith insurance, and negligence stemming from a hurricane cleanup injury. For a consultation, contact Owen, Galloway & Myers PLLC, today to discuss our services and terms.